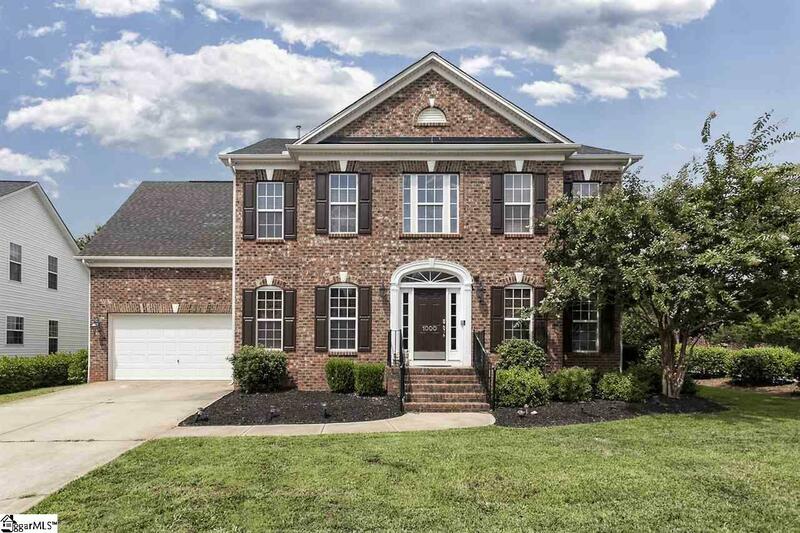 This grand, 4BA, 2.5BA colonial-inspired brick home is waiting for you in the much desired Carriage Park subdivision conveniently located just off of Pelham Road. Your guests will have plenty of room on the double wide parking pad and can follow the lighted walkway to the arched front entrance. Natural light pours into the vaulted foyer where the open floor plan leads to your choice of kitchen or living areas. While the archways, custom ceramic tile, and recessed lighting speak to the high quality of this homes overall craftsmanship, the features you cant see are even more impressive. Enjoy the safety and convenience of a fully equipped Home Automation Technology System throughout your home. Control your lighting, surveillance camera system, doors and entrances, home audio, and even the HVAC with your mobile device. Additional amenities include a central vacuum, irrigation system, and intercoms in every room. You can even control all of the TVs with your iPad. 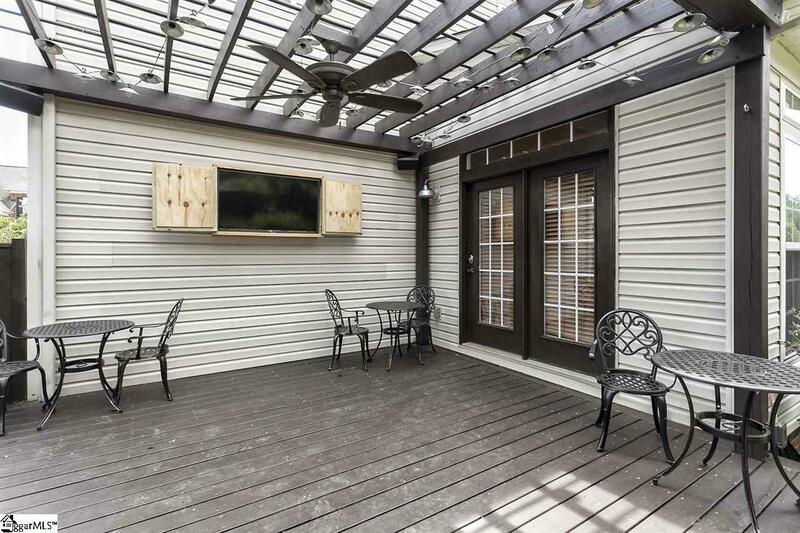 Enjoy your evenings on your back deck, under the lighted pergola, watching the outside flat screen TV that can be securely tucked away in its dry-cabinet. 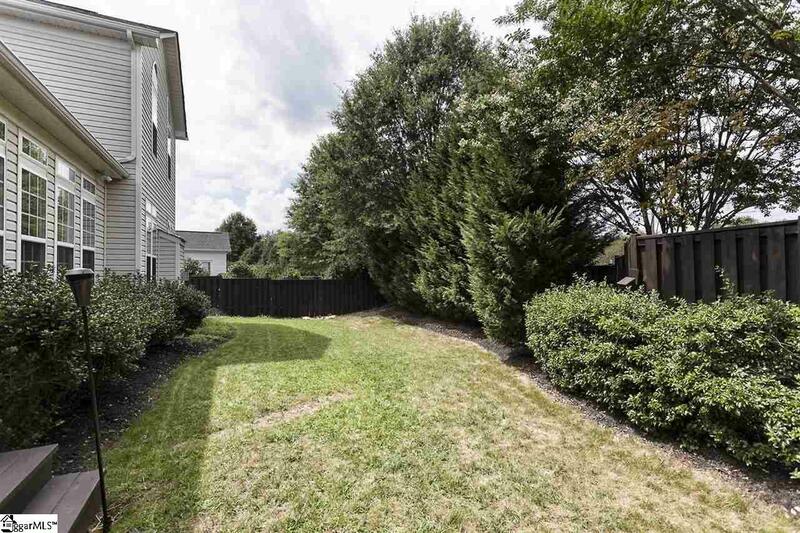 Your privacy is complete thanks to the fenced-in back yard surrounded by classic Boxwoods and Leland Cypress trees. Step back inside through the French doors into the kitchen, ideal for entertaining. Solid granite countertops, built-in wine rack, and under-cabinet lighting provide a visually stunning perimeter to the room. This kitchen is a chefs dream with all stainless steel appliances, eat-in island, and a side-by-side double oven with spider burner cook top range. The superb quality of this home continues with the stunning downstairs powder room complete with custom tile throughout and marble vessel sink. Spend a quiet evening in the den around the built-in gas log fireplace. Should you want a bigger movie-going experience, step into your very own 18-seat theater. Retire to your master suite with vaulted ceiling and walk-in closets. The dual, separate vanities are a showpiece with solid glass vessel sinks, and are just a part of this spacious 5-piece master bath. The additional bedrooms have easy access to the second full-bath that includes a double vanity. Home is also fully equipped with Rain Soft water softeners. 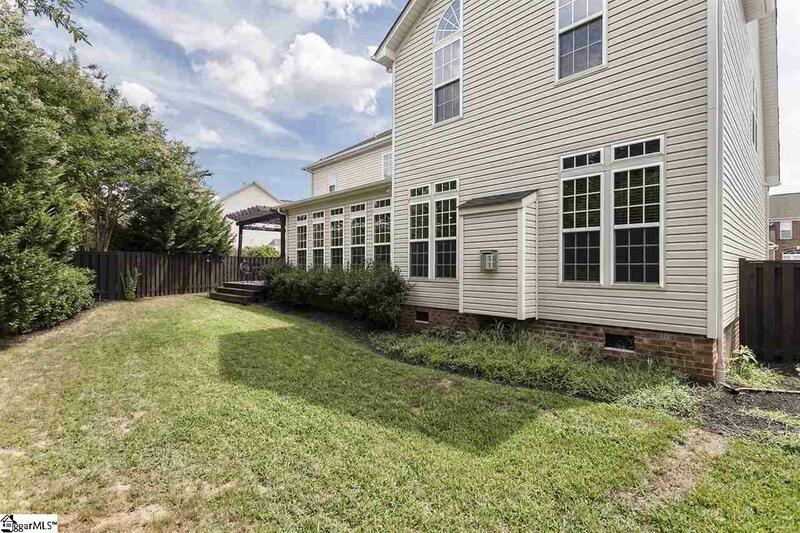 From the arched windows that accent the rec-room to the crown molding and even the hardwood flooring in the home office, you will enjoy the detail that went into designing this beautiful home for years to come. Listing provided courtesy of Rupesh Patel of Century 21 Blackwell & Co.